When it comes to finance apps, consumer confidence can be shattered in an instant with a single typo or ugly UI. But while the Money Story Book app does have some issues, it’s worth a try if you haven’t yet found a personal finance app that you really love, even with a $1.99 price tag. Let’s get one thing out of the way first: the translation. Developed by ReadyXtion Team, the app has all the appearances of an app that was developed in another language and imperfectly translated into English. This is apparent before you even buy the app: the app’s iTunes page is littered with phrases like “UX is applied as much as possible to enjoy MoneyStory Book!” and “Money Story Book will totally worth of spending $1.99 for this app!” That sort of thing can make people nervous, especially when you’re asking them to use your product to store personal financial information. The UI suffers from translation issues as well: while there aren’t any typos or misspellings, there are text wraparound issues where the text fails to fit cleanly in the space provided. However, these categories can be edited by the user and changed into headings that do fit nicely. The colors can also be customized by the user, which is a nice touch. Another interesting element is the ability to take a picture to associate with each transaction, meaning you could use it to record images of your purchases, or just the receipt. 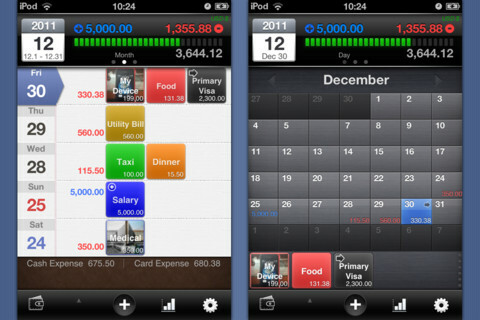 Also cool: currency conversion is supported, passcode locks can be used, and there’s a built-in calculator. 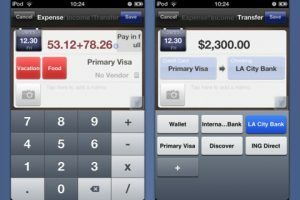 Overall, the UI is fairly intuitive, and as with any personal finance app, the hardest part is getting all your info inputted into the database. And best of all, there are three ways to backup or restore your information: email, web links, or PC backup over WiFi (CSV output is supported.) If you’ve been looking for a way to organize your finances and easily graph your outgoing cash each month, this may be the app for you. 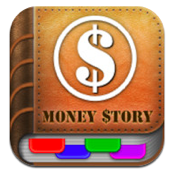 Money Story Book is compatible with iPhone 3GS, iPhone 4, iPhone 4S, iPod touch (3rd generation), iPod touch (4th generation) and iPad. Requires iOS 4.0 or later. A small expedite fee was paid by the developer to speed up the publication of this review.